This MM kit includes a new, and stronger, adjustable length pushrod that attaches to the pedal arm with a spherical rod end. 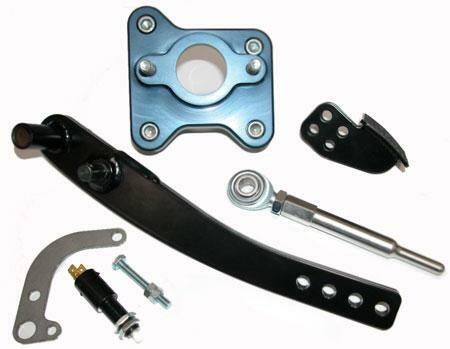 Unlike many other manual brake conversion kits, we include a new brake pedal arm. The MM kit also has a unique pedal pad assembly. The pedal pad bolts to the pedal arm in any one of six possible positions. This allows you to customize the brake pedal’s position to suit your needs. The MM kit includes a new, and stronger, adjustable length pushrod that attaches to the pedal arm with a spherical rod end. This attachment method eliminates the sloppy fit of the stock pushrod, further improving the pedal feel. The MM kit has a CNC machined aluminum adapter block that bolts to the firewall in place of the vacuum booster. This adapter is designed to mount a stock Ford master cylinder. Note: To maintain safe stopping distances, install only on cars with rear disc brakes and improved front discs. 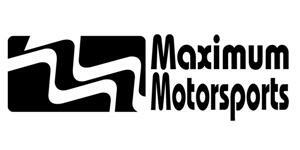 The Manual Brake Conversion Kit is NOT intended for use with a stock, unmodified braking system. Stopping distances will dramatically INCREASE if the Manual Brake Conversion Kit is used with the OEM small front disc/rear drum braking system of a Fox chassis Mustang.